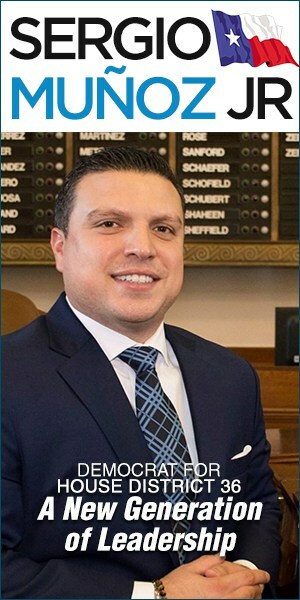 A constitutional amendment which could speed up efforts to bring a Veterans Administration Hospital to the Valley has been set as Proposition 8 in the Tuesday, November 3 statewide constitutional amendments ballot, said Rep. Ismael "Kino" Flores, D-Palmview. 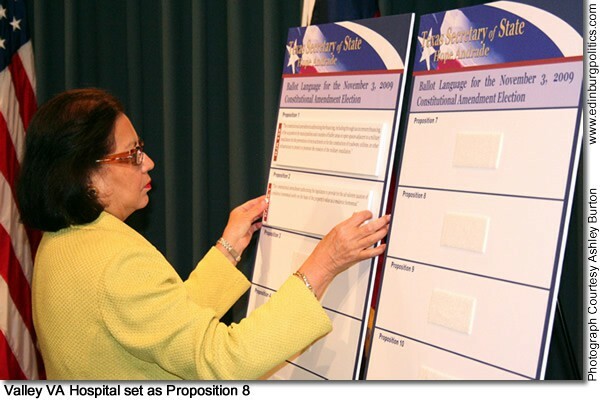 The announcement came following action taken by Texas Secretary of State Hope Andrade, who on Tuesday, July 28, established the ballot order for the VA Hospital measure and 10 other proposed amendments – called propositions – to the Texas Constitution. The last day to register to vote in November’s election is October 5. Flores said the state government also has the responsibility – and resources – to help make the VA Hospital a reality. Proposition 8 also represents a "clarion call" – an urgent or inspiring appeal to people to do something – for the Valley, the lawmaker said. "Now we have it within our reach – by the democratic power of the ballot box – to triumph over every obstacle that has been used to block deep South Texas from having a long-overdue VA Hospital," said Flores. "We must get our message out: vote yes for Proposition 8." As Flores ramps up the campaign to seek passage of Proposition 8, Cornyn was calling on President Obama to make good on the president’s campaign promise to support a VA Hospital in the Valley. Cornyn on Thursday, July 23, responded to comments made the previous day in San Antonio by U.S. Veterans Affairs Secretary Eric Shinseki indicating the VA will take a wait-and-see approach regarding the construction of a full-scale VA hospital in the Rio Grande Valley. Secretary Shinseki said he first wants to see how well the newly expanded ambulatory care clinic in Harlingen meets the needs of Valley veterans. On March 25, 2009, Cornyn re-introduced legislation to build a top-notch VA hospital for veterans in the Rio Grande Valley. Veterans there are currently forced to drive hours and travel up to hundreds of miles for access to inpatient health care, and Cornyn’s Far South Texas Veterans Medical Center Act of 2009 helps close the gap by authorizing construction of a full VA hospital in Far South Texas to give these veterans more proximate access to inpatient medical care. Cornyn’s new legislation goes a step farther than his bill from the previous Congress by using stronger language to bring a Department of Veterans Affairs (VA) hospital to South Texas. It not only authorizes the VA to construct a hospital, it requires them to do so. The Texas Transportation Commission on Thursday, July 30, vote to award various highway improvement contracts across the state, including four projects in Senate District 20. 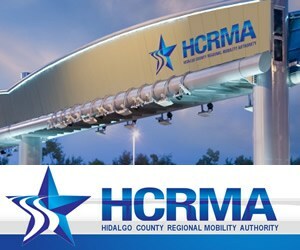 The commission approved $4.1 million for the I Road Project in Hidalgo County. This project will widen the road to four lanes from U.S. Highway 281 south to Owassa Road, a much needed infrastructure enhancement to an area of Hidalgo County that is growing rapidly. Nueces County received a total of $12.6 million dollars for transportation projects. The targeted projects include an $11.7 million improvement along US Highway 77 from State Highway 44 to County Road 36. The funding allows for the construction of main lanes and overpasses, with construction set to begin after January 1, 2010. An additional $876,000 will be used to construct a new bridge along FM 70. Jim Wells County will receive $13.2 million to construct a diamond interchange at the intersection of U.S. 281 and FM 2508. This project is part of a larger design to upgrade U.S. 281 to interstate capacity. Construction on this project should start within 60 days. Sen. Juan "Chuy" Hinojosa, D-McAllen, commented on the value of these awards to South Texas. "I am truly pleased to see the response at the state level to South Texas’ need for infrastructure development and maintenance. 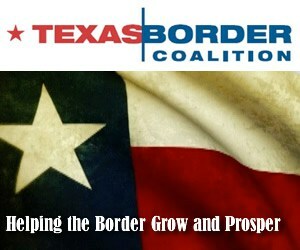 South Texas has been growing exponentially for the better part of two decades. 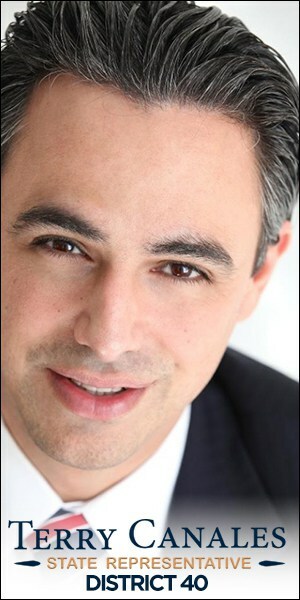 These projects will address that growth and provide the basis for future expansion," Hinojosa said. The Texas Transportation Commission also awarded $60,000 each to The Lower Rio Grande Valley Development Council and the Coastal Bend Council of Governments to support continued regional planning activities. The awards reflect the allocation of federal grant funds from the Federal Transit Administration, Statewide Transportation Planning Program and state matching funds. Funding is awarded to locally designated lead agencies to fund their efforts in continuing public transportation planning. Edinburg’s retail economy during May 2009, as measured by the amount of local and state sales taxes generated by a wide range of local businesses, was down almost five percent over the same month in 2008, according to the Texas Comptroller of Public Accounts. The report represents the latest figures compiled by state, and announced in early July. Local sales taxes in Edinburg are generated by the city’s 1 1/2 cent local sales tax, and the 1/2 cent economic development sales tax that is administered by the Edinburg Economic Development Corporation. 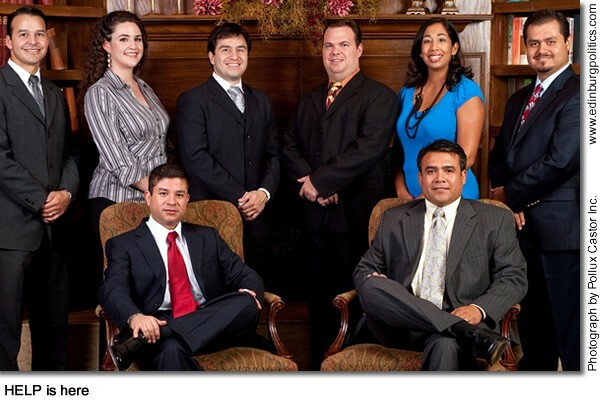 The EEDC, which is a city government entity, is the jobs-creation arm of the Edinburg City Council. It sits on a public treasury of millions of dollars. For the month of May 2009, Edinburg generated $1,072,843.02 in local sales taxes, compared with $1,126,236.46 in May 2008 – a decrease of 4.74 percent. However, year-to-date – from January 2009 through May 2009 – Edinburg was holding on to a positive showing, with the local retail economy during the first five months of 2009 up almost 11 percent over the same period last year. From January through May 2009, Edinburg generated $8,734,918.67 in local sales taxes, compared with $7,894,303.38 from January 2008 through May 2008 – an increase of 10.64 percent. 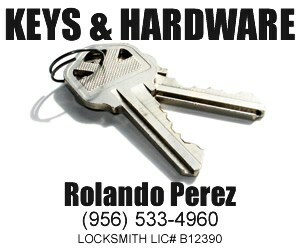 McAllen – the largest economic engine in South Texas – continues to struggle. For May 2009, McAllen generated more than $3.7 million in local sales taxes, compared with more than $4.3 million in May 2008, a drop of more than 13 percent. Year-to-date, McAllen’s retail economy remains sluggish. 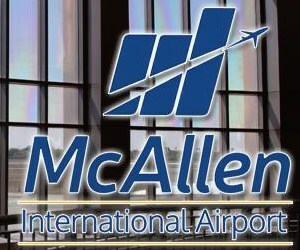 From January through May 2009, McAllen generated more than $32 million in local sales taxes, compared with almost $38 million during the same period in 2008 – a decrease of almost seven percent. For the month of May 2009, all cities in Hidalgo County generated almost $8.7 million in local sales taxes, compared with more than $9.5 million in May 2008, a decrease of almost 10 percent. The county government itself does not collect a sales tax. Year-to-date, all cities in Hidalgo County generated more than $71.5 million in local sales taxes, compared with almost $73.2 million between January and May 2008, a decrease of almost 2.2. percent. Also posting decreases, but not as bad as Hidalgo County, was Cameron County. In May 2009, all cities in Cameron County generated more than $4.5 million in local sales taxes, compared with more than $4.8 million during the same month in 2008, a decrease of almost 6.6 percent. Year-to-date, all cities in Cameron County generated almost $36 million in local sales taxes, compared with almost $38 million between January and May 2008, a decrease of almost three percent. 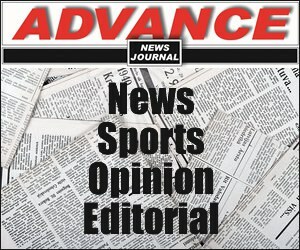 Brownsville, the largest city in the Valley, also reported a drop of almost 5.3 percent in local sales tax activities. In May 2009, Brownsville generated almost $2.3 million in local sales taxes, compared with more than $2.4 million the same month in 2008. Harlingen also showed a drop. In May 2009, Harlingen generated more than $1.4 million in local sales taxes, compared with more than $1.5 million in May 2008 – a decrease of almost nine percent. • Pharr also showed a similar drop in retail sales activities. In May 2009, Pharr generated more than $918,000 in local sales taxes, compared with more than $813,000 in May 2008, a decrease of more than 11 percent. 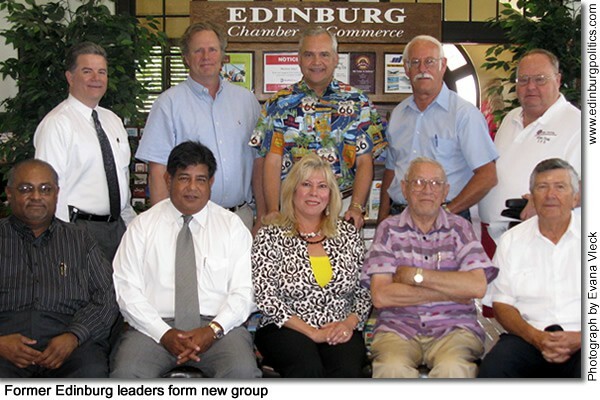 The Edinburg Chamber of Commerce is currently accepting applications for Leadership Edinburg class XXI. 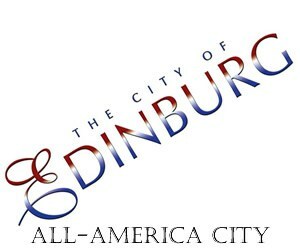 All interested applicants should file an application http://www.edinburg.com. Leadership Edinburg is a growing organization that strives to encourage a better Edinburg through strong leadership skills focusing on politics, education, and quality of life. There are more than 450 graduates who have taken the leadership challenge and completed each program of work with pride and great accomplishment. Graduates of Leadership Edinburg typically continue to apply what they learned and demonstrate it by showing interest in community involvement including serving on committees and at times politics. Applicants should make arrangements to sign up as soon as possible, as there are limited spaces are available. Applications will be taken prior to the scheduled retreat; the mandatory retreat will take place at South Padre Island, on September 18 and 19, 2009. Area residents interested in becoming part of Edinburg’s strong group of future leaders, contact the Edinburg Chamber of Commerce at 956/383-4974. 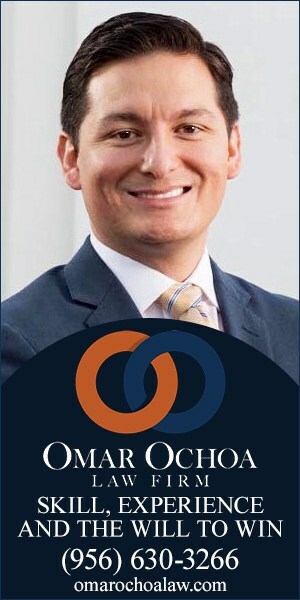 The newly formed National Hispanic Entrepreneurs for Leadership in Politics (HELP) hosted its first event on Thursday, July 23 from 6 p.m. to 9 p.m. at Osuka, located at 7100 N. 10th Street in McAllen. National HELP understands that Hispanic votes count, which is why this non-profit, not-partisan organization seeks to promote political awareness and voter participation among Hispanics. National Hispanic Entrepreneurs for Leadership in Politics (HELP) is a non-profit, non-partisan membership-based organization founded in 2009. HELP’s vision is to promote political awareness and voter participation. HELP is against apathy and operates a campaign of civic engagement by approaching higher learning institutions and organizations that support free enterprise, economic development, leadership and social mobility. HELP encourages civic participation through networking events, voter registration events, seminars and political forums. For more information about National HELP, call Cervantes at 956/638-4074 or Mike Martinez, vice-president, at 832/677-1435. Congressman Henry Cuellar, D-Laredo/McAllen, and Congressman Rubén Hinojosa, D-Mercedes, on Friday, July 31, announced that Congress approved an additional $2 billion worth of stimulus funds to extend the successful “Cash for Clunkers” program which provides government rebates to consumers who trade in older vehicles for more fuel efficient cars. The initial bipartisan legislation was supported by a broad coalition that includes the AFL-CIO, UAW, car dealers, the U.S. Chamber of Commerce and the National Association of Manufacturers. The “Cash for Clunkers” program began on July 24 providing $1 billion in government rebates for consumers who traded in older less fuel-efficient vehicles for new vehicles getting at least 22 miles per gallon. The program was estimated to generate at least 250,000 new car sales, providing rebates from $3,500 to $4,500 to consumers. The Car Allowance Rebate System (CARS) is run by the National Highway Traffic Safety Administration, who reported Thursday that 22,782 vehicles worth $95.9 million had already been sold as a result of CARS. Consumers apply for the rebates when purchasing new vehicles at car dealerships, and the National Automobile Dealers Association reported concerns late last week that a wave of consumers had applied for almost all of the funds. On Friday, July 31, the House passed H.R. 3435, a vote making supplemental appropriations available for CARS by a vote of 316-109. Pending passage in the Senate and the President’s signature this week, funds will be transferred from an existing Energy Department loan guarantee program to the “Cash for Clunkers” program. • Work trucks: The old vehicle must be a pre-2002 model. New vehicles in the same or smaller weight class will get a $3,500 voucher. 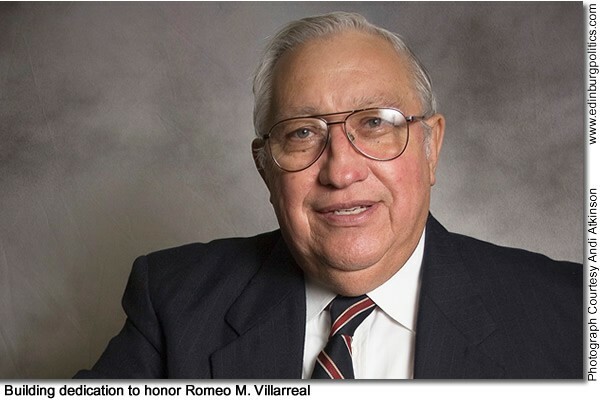 Teno Villarreal contributed to this article. U.S. Senate candidate John Sharp on Friday, July 31, urged members of the full Senate to quickly confirm Supreme Court nominee Judge Sonia Sotomayor so that the court can be at full strength for the critical fall session and senators can be free to focus their full attention on strengthening the nation’s economic security, fixing the broken health care system, and providing adequate resources to U.S. soldiers fighting in Afghanistan and Iraq. “Judge Sotomayor’s distinguished career leaves no doubt that she is imminently qualified to serve on the nation’s highest court, and I urge the full Senate to quickly confirm her, as they did a decade ago when she was nominated to the circuit court. "As a son of South Texas, I take particular pride in Judge Sotomayor’s compelling personal story and her rise to the heights of our judicial system. Her addition to the court is a welcome first for the greatest nation on earth. And as a strong proponent of the second Amendment, I am confident she is committed to following existing precedent. "I realize that a minority of partisans have seized upon Judge Sotomayor’s nomination to raise money and score political points. But mainstream Texans recognize her mainstream values and are ready for her to take her Supreme Court seat so that the United States Senate can get on with the major challenges facing us." Lt. Governor David Dewhurst on Wednesday, July 29, was honored with the 2009 Public Leadership in the Arts Award for State Arts Leadership. The award is presented annually by the Americans for the Arts and the National Lieutenant Governors Association in recognition of exceptional leadership in advancing the arts at the state level. The award was presented at the National Lieutenant Governors Association’s annual conference in Baltimore, Maryland. "I’m very honored to receive this prestigious award. The arts not only enrich our lives, but they also help us understand and appreciate Texas’ rich heritage and the many cultures and communities of our great state," Dewhurst said. "Through the arts, our lives are made more colorful, our minds are further challenged and our appreciation for the infinite capacity of human expression grows deeper every day." Americans for the Arts is the nation’s leading nonprofit arts advocacy organization. Dewhurst was selected for this year’s award as a result of his longstanding commitment to support the arts in Texas. "Lt. Gov. Dewhurst has demonstrated consummate leadership in supporting public funding for the arts," said Robert L. Lynch, president and CEO of Americans for the Arts. "His advocacy for the arts in Texas has proven to be a great success." Also, earlier this year, Dewhurst was an Honorary Co-Chair of the 2009 Texas Medal of Arts Award. The ballot order for 11 proposed amendments to the Texas Constitution was determined today through a random drawing by Secretary of State Hope Andrade. Enacted in 1876, the Texas State Constitution has been amended more than 400 times. Proposed constitutional amendments must pass by a two-thirds vote in both houses of the state legislature to be considered on the ballot. These eleven amendments were approved for consideration by the 81st Legislature and require a majority vote to be amended to the constitution. "The constitutional amendment authorizing the financing, including through tax increment financing, of the acquisition by municipalities and counties of buffer areas or open spaces adjacent to a military installation for the prevention of encroachment or for the construction of roadways, utilities, or other infrastructure to protect or promote the mission of the military installation." "The constitutional amendment authorizing the legislature to provide for the ad valorem taxation of a residence homestead solely on the basis of the property’s value as a residence homestead." "The constitutional amendment providing for uniform standards and procedures for the appraisal of property for ad valorem tax purposes." "The constitutional amendment authorizing the legislature to authorize a single board of equalization for two or more adjoining appraisal entities that elect to provide for consolidated equalizations." "The constitutional amendment authorizing the Veterans’ Land Board to issue general obligation bonds in amounts equal to or less than amounts previously authorized." "The constitutional amendment to allow an officer or enlisted member of the Texas State Guard or other state militia or military force to hold other civil offices." "The constitutional amendment authorizing the state to contribute money, property, and other resources for the establishment, maintenance, and operation of veterans hospitals in this state." "The constitutional amendment to provide that elected members of the governing boards of emergency services districts may serve terms not to exceed four years." "The constitutional amendment to prohibit the taking, damaging, or destroying of private property for public use unless the action is for the ownership, use, and enjoyment of the property by the State, a political subdivision of the State, the public at large, or entities granted the power of eminent domain under law or for the elimination of urban blight on a particular parcel of property, but not for certain economic development or enhancement of tax revenue purposes, and to limit the legislature’s authority to grant the power of eminent domain to an entity." Texas Attorney General Greg Abbott on Thursday, July 30, charged a McAllen furniture retailer with violating state laws that govern “going out of business” sales. The state’s enforcement action seeks restitution for financially harmed consumers. Furniture Super Center, L.L.C., which is also known as National Furniture Liquidators at 2246 Nolana in McAllen, launched a sale earlier this year, using “Store Closing Forever” and “Lost Our Lease” banners. The store also hired people to carry signs promoting the sale at busy street intersections. According to the state’s enforcement action, National Furniture Liquidators misled the public by assuring customers that furniture purchased during the sale could be picked up on the same day of purchase or within two days. Despite those promises, store representatives knew purchased furniture could not be delivered on time because items were not in stock and would have to be ordered from a supplier. This scheme induced customers into buying products they would not have purchased had they known about the delay. Additionally, employees at National Furniture Liquidators required customers to sign “invoice contracts” with furniture purchases. These contracts contained language stating that customers would not be entitled to refunds, returns or exchanges under any circumstances. As a result, when the company failed to deliver purchased furniture or other store products within the agreed-upon time or a reasonable time, the defendants denied customers’ refund requests. 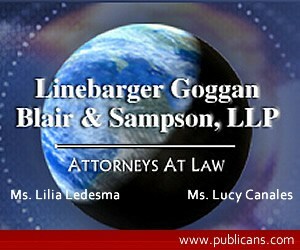 The Attorney General is seeking penalties of up to $20,000 per violation of the Texas Deceptive Trade Practices Act. In addition, the defendant failed to file an original inventory with the Hidalgo County Appraisal District and obtain a permit to conduct a “going out of business” sale, as required by law. Texans who believe they have been deceived by similar fraudulent business practices are encouraged to call the Office of the Attorney General’s toll-free complaint line at (800) 252-8011 or file a complaint online at http://www.texasattorneygeneral.gov. 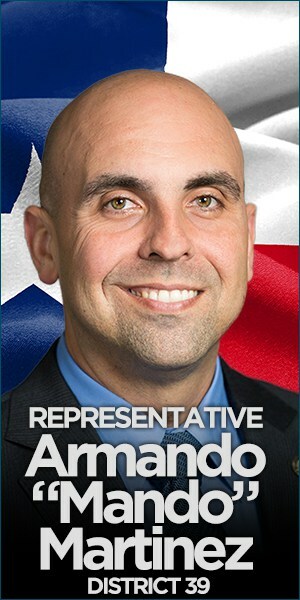 Congressman Rubén Hinojosa, D-Mercedes, on Wednesday, July 29, voted to pass H.R. 3139, a bill to extend the authorization of the National Flood Insurance Program an additional six months to March 31, 2010. 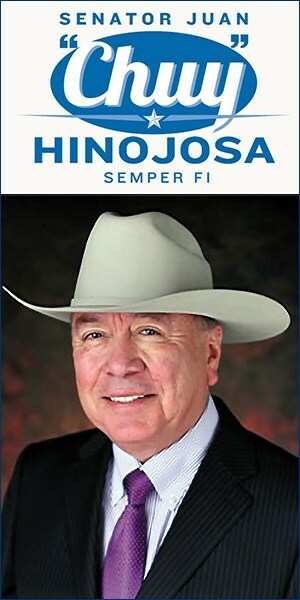 Hinojosa is an original cosponsor of the legislation. The House adopted an amendment to the underlying bill. The amendment consisted of the language included in H.R. 1525, which would require the administrator of the Federal Emergency Management Agency to consider reconstruction and improvement of flood protection systems when establishing flood insurance rates. Due to shrinking federal participation, states and communities across the country are investing millions of dollars into flood infrastructure. This legislation will require FEMA to take this investment into account and recognize local commitment to obtaining adequate flood protection. Currently, only communities with federally funded levee improvements, not state or locally funded improvements are eligible for an A99 designation. A99 designates areas subject to inundation by the 1-percent-annual-chance flood event, but which will ultimately be protected upon completion of an under-construction federal flood protection system. These are areas of special flood hazard where enough progress has been made on the construction of a protection system, such as dikes, dams, and levees, to consider it complete for insurance rating purposes. Zone A99 may only be used when the flood protection system has reached specified statutory progress toward completion. No Base Flood Elevations (BFEs) or depths are shown. Mandatory flood insurance purchase requirements and floodplain management standards apply. As amended, H.R. 3139 makes a number of modifications to the National Flood Insurance Act in order to give communities clarity to help them restore or improve their flood protection systems. The current regulations are vague on what a completed system is which has caused concern and confusion among local communities. Consequently, H.R. 3139, as amended makes the present value of the completed system the basis for calculating progress toward the project cost of the system. This provision brings greater clarity to what “50 percent complete” means by combining a reasonable public safety level with a definable milestone. This legislation is even more important now because the Committee on Financial Services will begin holding hearings on reforms to the National Flood Insurance Program this fall. Did you know that approximately 8,000 deaf individuals reside in the Rio Grande Valley? To handle the sign language needs of this population, there are only a little more than 40 certified interpreters in the region. These statistics mean that there are many underserved individuals and groups needing help to make it through the obstacles life presents every day. South Texas College is doing its part to help fill the void. Beginning in fall 2009, STC will offer students the chance to earn one of two new associate of applied science degrees in American Sign Language or a new Enhanced Skills Certificate in Trilingual Interpreter. Through both pathways, students will complete an array of academic and technical courses including American Sign Language, Finger Spelling & Numbers, Visual/Gestural Communication, Deaf Culture, Sign-to-Voice and Transliterating, as well as fulfilling internship obligations. The “deaf support specialist” track specifically prepares students for working with the Rio Grande Valley’s unique population with courses in Career Spanish, Fundamentals and Techniques for Deal Support Specialist/Service Providers, and Intra-lingual Skills for Interpreters. Graduates following either degree plan will be prepared to pass Interpreter Certification testing at the state and national levels. The Enhanced Skills Certificate in Trilingual Interpreter strengthens the skills of an interpreter who is currently utilizing or planning to use three languages, ASL, English and Spanish in their work. To be eligible for the Enhanced Skills Certificate in Trilingual Interpreter, a student must be a State Level I/Basic Certified Interpreter or have completed an accredited Interpreter Training Program. For more information about the college’s new ASL Program call 956/872-3495. 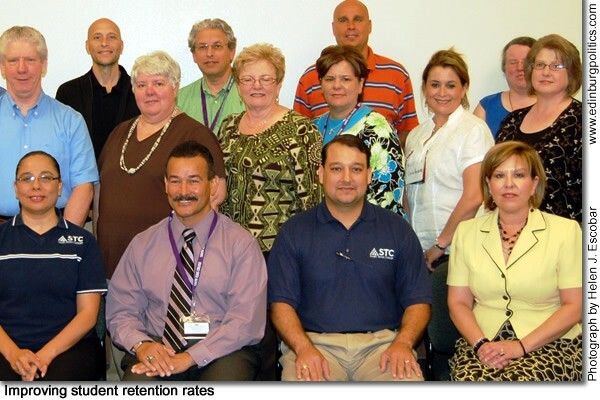 South Texas College recently hosted colleagues from Ashland Community and Technical College and Ashland area high schools of Kentucky, and El Paso Community College for a three-day seminar to discuss ways to closely align all partners in a region’s education pipeline. The discussions focused on early college high schools (ECHS) and other strategies to improve college readiness, enrollment, and completion rates. The seminar, which was held on July 16 and July 17, was a continuation of STC’s work as a participant in the Community Colleges CAN Mentoring Program, a national program that engages community colleges in a year-long cooperative learning experience to help them design and implement intervention strategies to improve student retention and achievement. Administrators, faculty and staff from all three colleges and their partner public school districts discussed ways to improve their systems to enhance college-going rates, increase college readiness rates, and increase degree attainment rates. 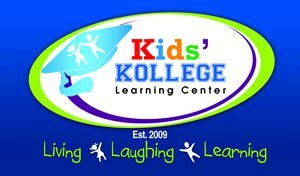 STC plans to accomplish this by creating a seamless system to transition students from high school to college. Delegates from Ashland Community and Technical College hope to learn more about the intricacies of setting up an ECHS. Representatives from El Paso Community College acted as mentors at the seminar, helping STC and ACTC learn from their successes and challenges. STC was one of 18 community colleges selected from across the nation in a national competition for Community Colleges Can, which is funded by the U.S. Department of Education’s Office of Vocational and Adult Education and administered by JBL Associates. The initiative is designed to strengthen the capacity of community colleges to meet students’ academic needs and support their success in college and the workforce.